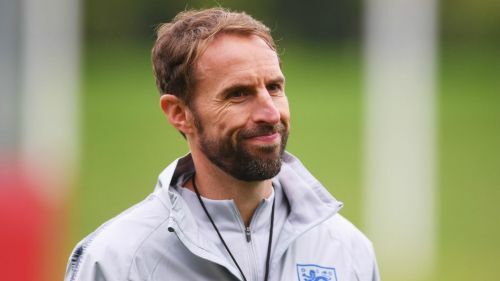 England boss Gareth Southgate says "initial discussions" have taken place over a new contract, but he is fully focused on Tuesday's friendly with Switzerland. The 48-year-old has two years remaining on his deal, which will keep him in charge of the team until after the finals of Euro 2020. Southgate has confirmed there have been talks over an extension but insists his future is of no concern for now. "At the moment, we have had initial discussions," he told a news conference. "That has been it. For me, I have got to focus on the job in hand. I am contracted for next 22 months. "I don't want to go into detail because I don't want to distract from the game. My focus most importantly is on tomorrow [Tuesday] night, then building this team to be as competitive as we can be." England face Switzerland at the King Power Stadium looking to bounce back from Saturday's 2-1 Nations League loss to Spain, which was their first competitive defeat at Wembley since November 2007. A loss to Vladimir Petkovic's side would mean they have suffered four defeats in a row for the first time in their history, with the Spain reverse coming after back-to-back losses to Croatia and Belgium at the World Cup. Southgate, though, is not concerned by the prospect of an unwelcome record and intends to make several changes to his line-up in order to give some fringe players game time. "That focus will come on me and I'm not concerned about it, otherwise I'd make decisions just to boost my own win record," he said when asked about any fear of defeat. "Last summer, we played Brazil, Germany, France and Spain. If it was about my win record, I probably wouldn't make those decisions. It's more important to me that we improve the team, give these guys experiences to get better. "I'll have to live with whatever people say about my record, relegations and whatever fits the bill. The priority is developing the England team. "We always want to win matches and we don't accept losing matches, but I can't make decisions just to get a win. We've got to focus on processes and things we can control. A lot of these guys have had zero minutes in the league, but the right thing is to give them game time." Kyle Walker, Kieran Trippier and Harry Kane all earned a place in the final 55 nominees for the FIFA FIFPro World 11 after impressive domestic and World Cup form over the last year. Southgate praised the trio for their achievement but suggested Leicester City's Harry Maguire also deserved a place. "It's a joke Harry's not in it, frankly!" he said of the defender, who was sitting alongside him at the news conference. "It was a really good team performance and there were some outstanding individual performances and a lot of players who came of age on an international stage. I'm delighted for them and I'm sure they would acknowledge a large part of them being there is due to what the group did."